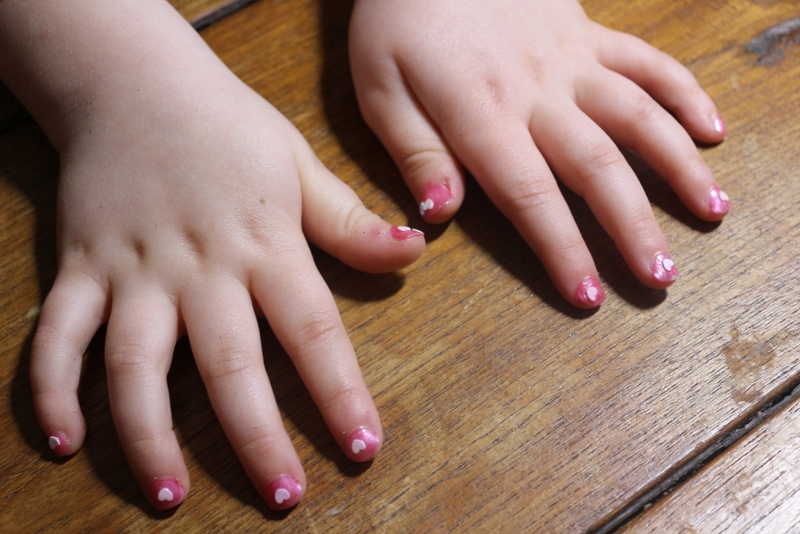 My oldest absolutely loves anything pink, glittery or stereotypically ‘girly’. I’ve made my peace with it now. I knew she would love the new FabLab kits from Interplay and we were sent the Nail Art, Glitter Tattoo and Hairlights kits to review. The FabLab kits from Interplay are targeted at children aged 8+ but contain child safe products so I felt we would be able to put them to the test. This post contains affiliate links, which does not affect the price you pay but from which I will get a small commission. Read my disclosures policy for more detail. 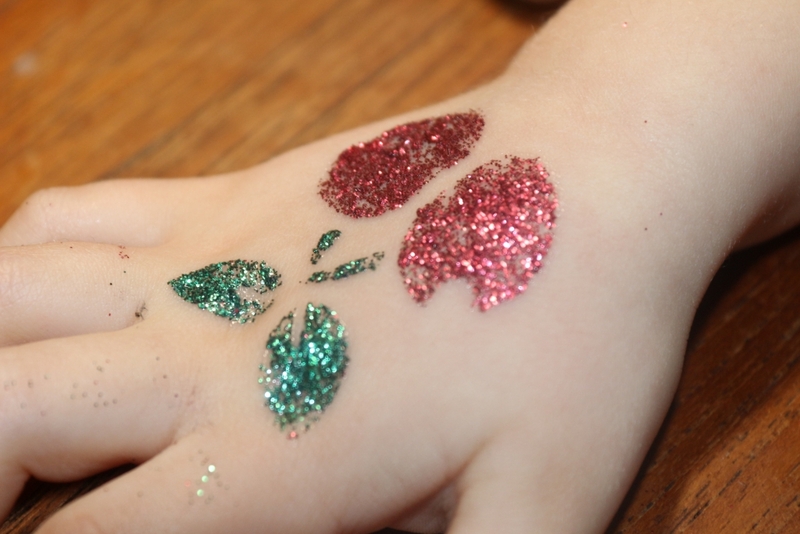 The Fablab Glitter Tattoo kit contains four different coloured glitters; red, blue, purple and green. It also contains 27 different one-use sticker stencils in different designs, instructions, two brushes for glitter application and of course, glue. 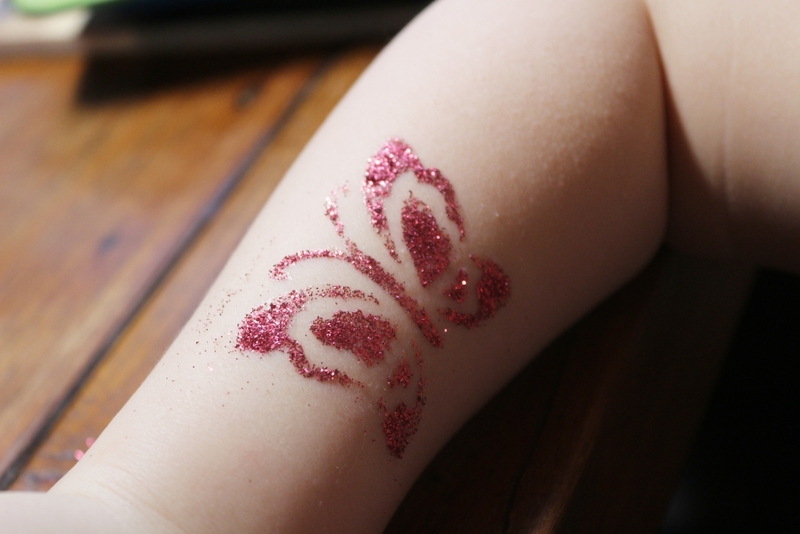 Both kids decided they wanted a glitter tattoo so it was up to me to put them on; thankfully they were easy to apply. Firstly, you have to peel off the sticker backing and place it where the glitter tattoo is going. Then, use the glue and paint it over the sticker. Then use the brush to dab on the glitter. If you’re feeling fancy, you can even use different colours. 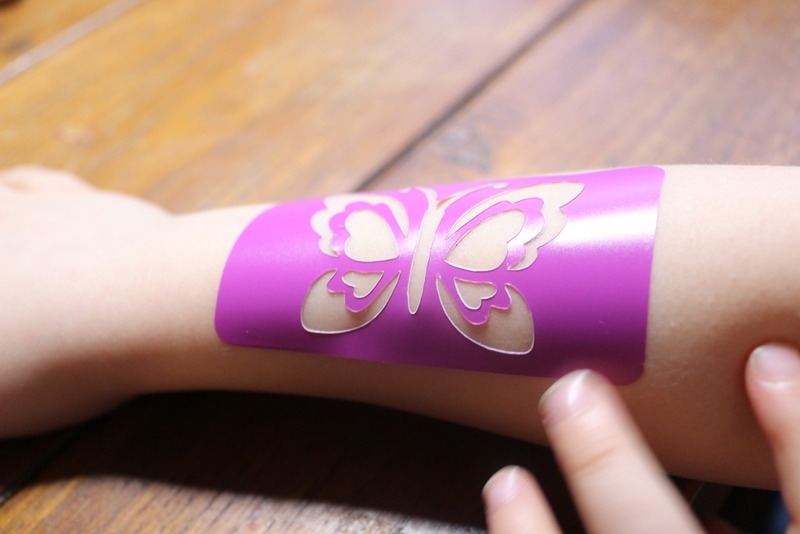 You then peel the sticker off before the glue has dried, and show off your new glitter tattoo! The last time the kids had glitter tattoos they didn’t come off for ages and when they did, left a nasty mark on their arm, but we needn’t have worried as these washed off a lot more easily with only a little scrubbing, although they stayed on all day. 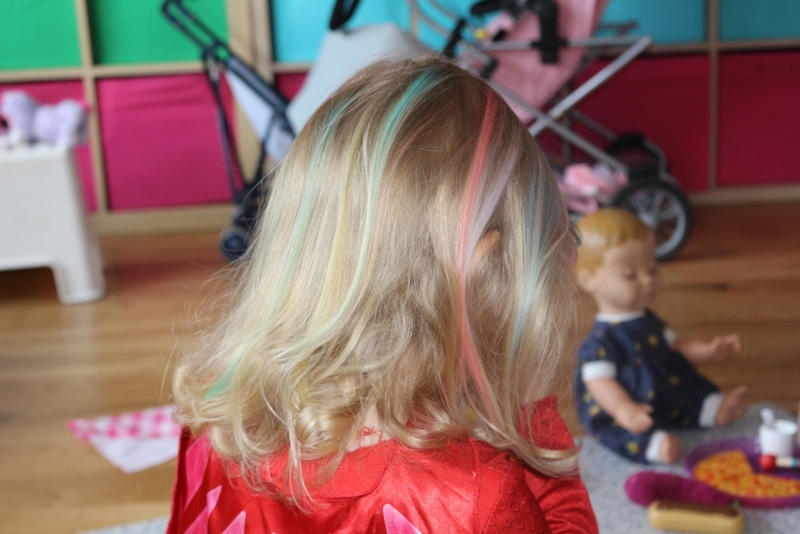 Second on the list, the FabLab Hairlights hair chalks kit which mean you can temporarily colour your hair! 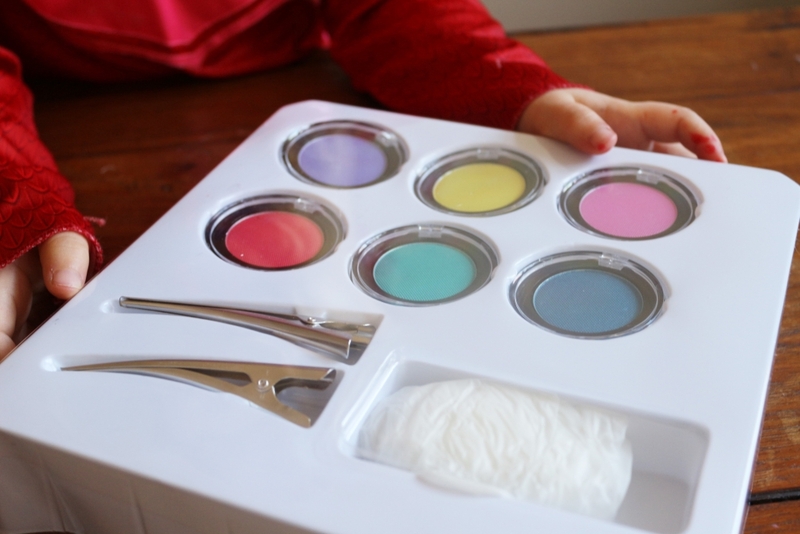 Included in the kit are six coloured hair chalks; blue, red, pink, yellow, green and purple, some hair clips, rubber gloves and instructions. 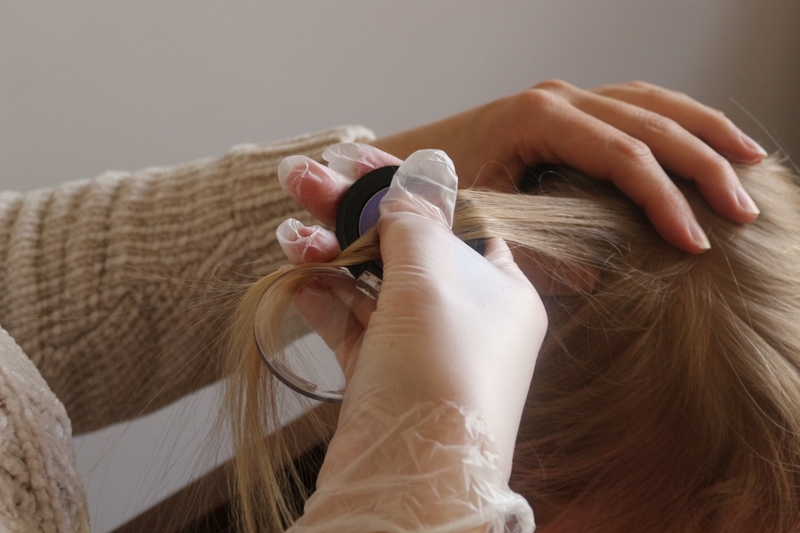 The Hairlights hair chalks are really easy to apply; you press them against the section of hair you’re looking to colour and then place your gloved thumb on top and drag the chalk down, coating the hair. It’s really simple and quick to make a multi-coloured hair style! Note that the darker chalks work better on light hair, whereas the lighter chalks are better for darker hair. 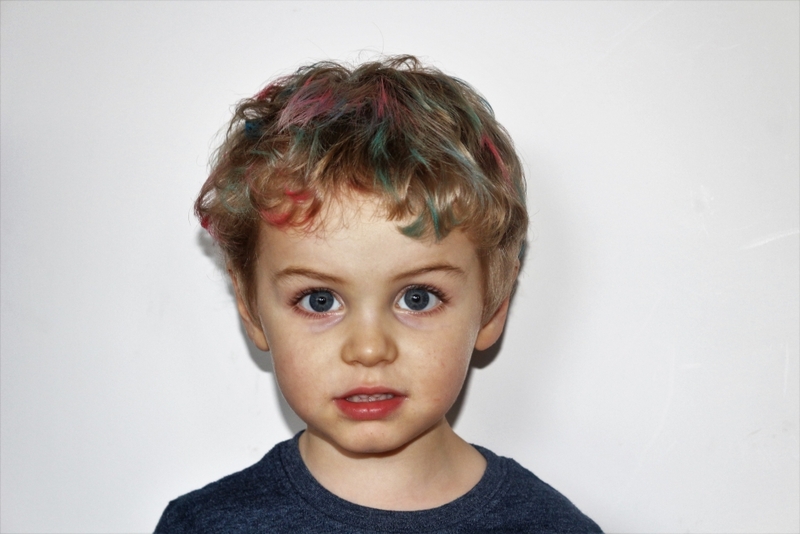 I had heard reports of hair chalks staying in long past their welcome, but the FabLab Hairlights hair chalks wore out over the day, and washed out easily in the bath. Finally, we tried out the FabLab Nail Art kit. 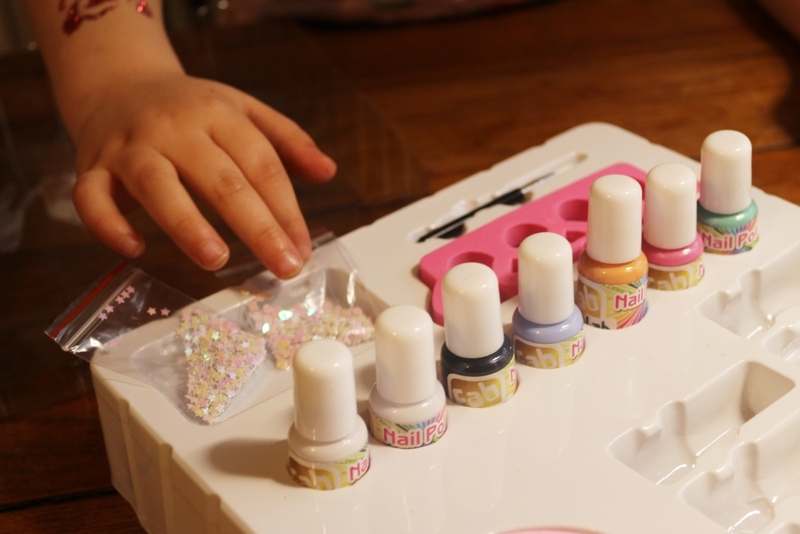 Inside the kit were seven child-friendly (peel off) nail varnishes, little sparkly sprinkles (heart shaped and stars), a fine paintbrush, emery board, toenail separators and instructions on how to create different nail designs. 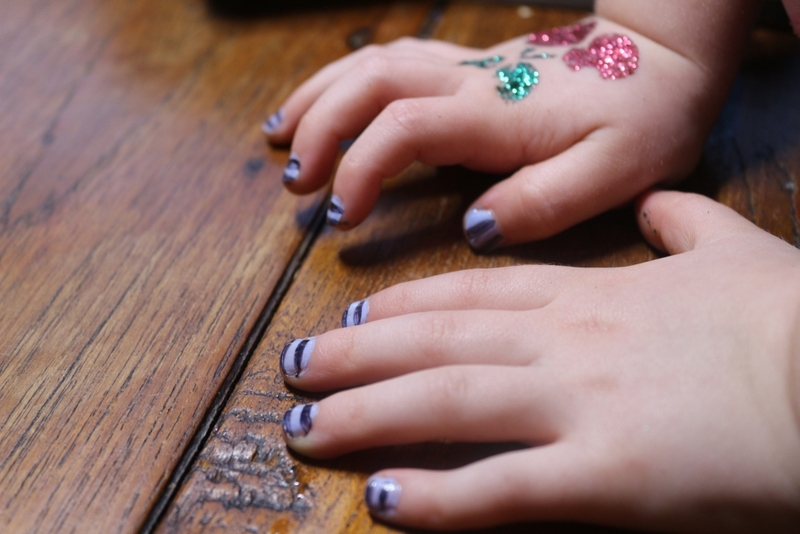 The best thing is that the nail varnish can be peeled off so is great for small kids. Mine loved having their nails painted and we’ve had a few goes now! With an RRP of £9.99 each, the FabLab kits can be used again and again. We had a lot of fun with them and they they would be perfect as a gift for older children. 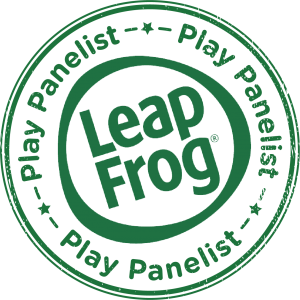 You can find out about all the Interplay FabLab products on their website. 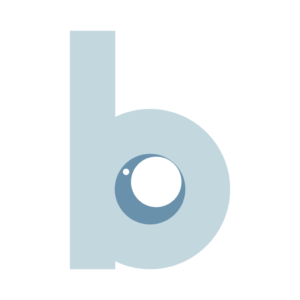 Follow them on Twitter or Facebook for updates. They are available from good toy shops and here on Amazon. We received these FabLab kits for free for the purposes of this review but the words and pictures are mine. 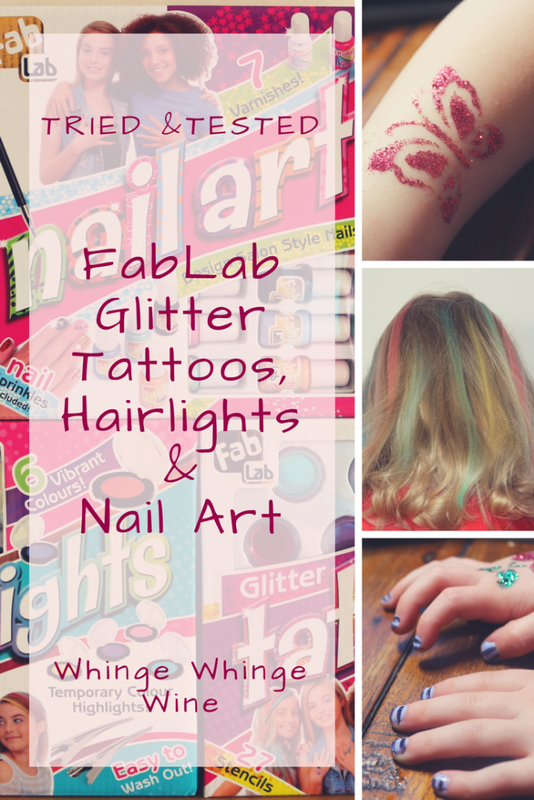 Win a FabLab Glitter Tattoo kit! 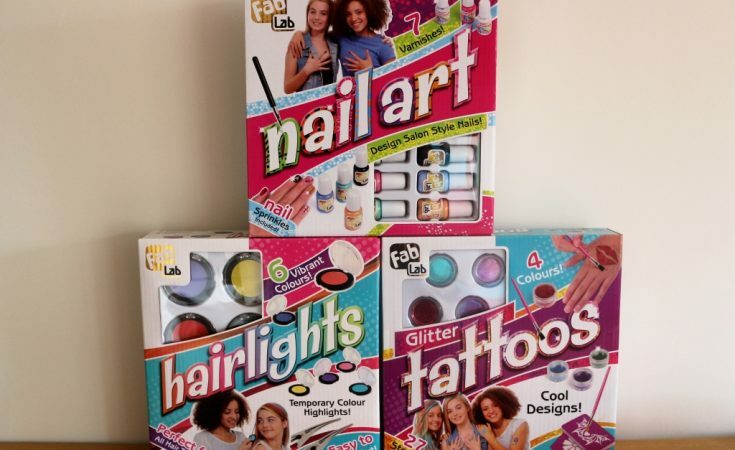 If you’d like to win a kit to create your own glitter tattoos, enter our competition below! Looking for toys and games? 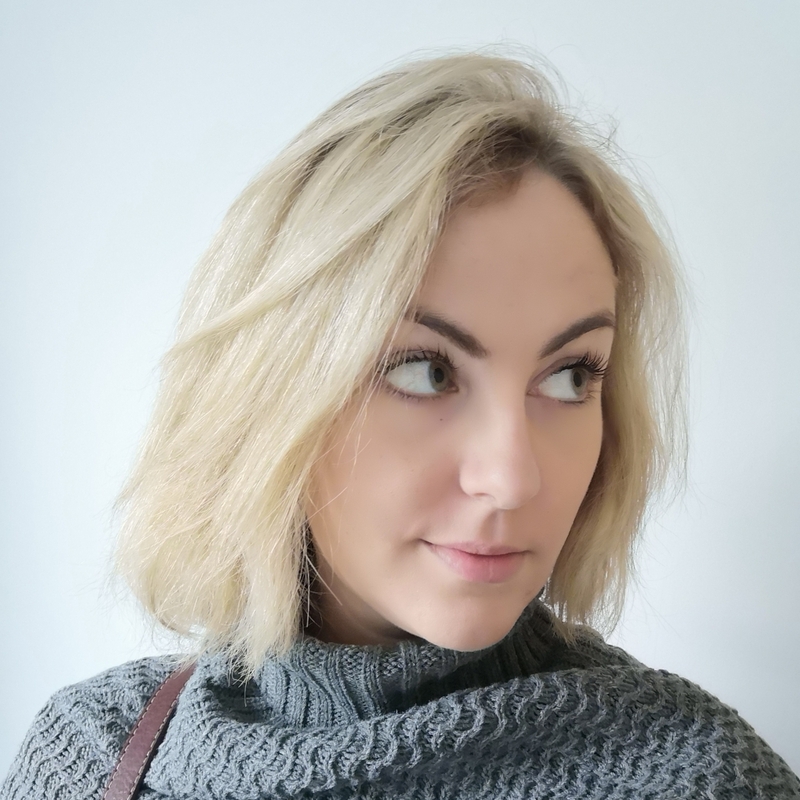 Check out my reviews here!